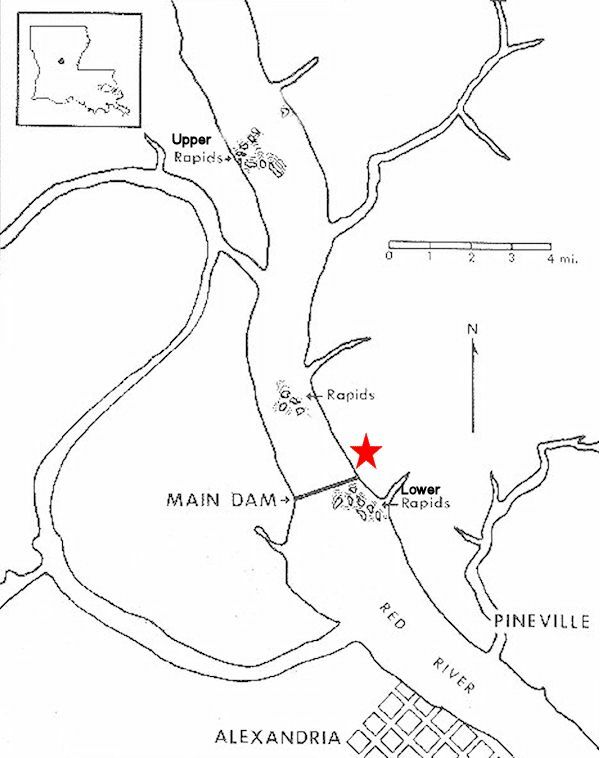 On this day, the right wing of the 16th Ohio continued to work on building Bailey's Dam, across the Red River near Alexandria, Louisiana. At 6:00 am, the left wing was ordered out with the two brigades to the front, west of Alexandria, to engage the enemy. They drove the Confederates back seven or eight miles, taking several prisoners and killing or wounding several more. The Union suffered one killed and 15 wounded and returned to their camp about 9:00 pm. On the 5th, Lawler, with two brigades, went out again and found a considerable body of the enemy willing to fight, but a vigorous bayonet charge made them break from every position they took. Lawler was the right man in the right place. Bluff and brave and full of Irish audacity, never stopping to waste time in tedious reconnoisances or to count the noses of an opposing force, but went straight to work in a manner that meant blood-shed. The troops under Lawler, inspired by the zeal of their commander, obeyed orders with fearless alacrity. 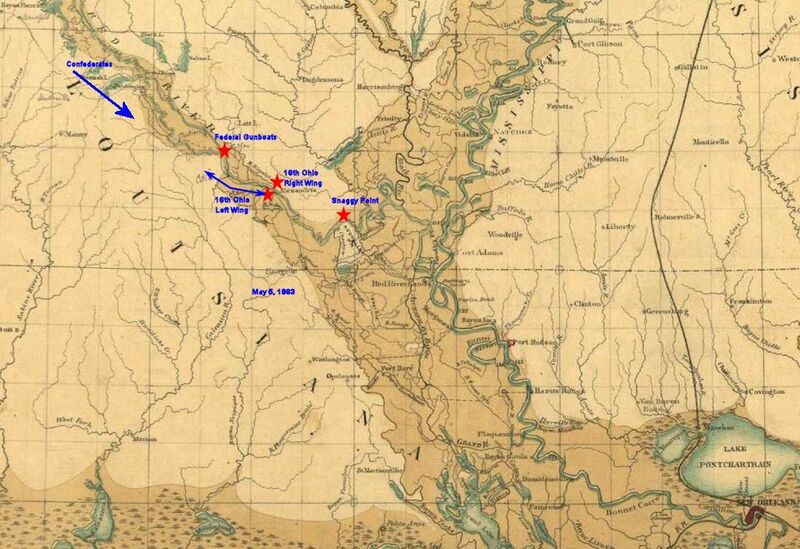 This period military map shows the approximate position of the 16th Ohio's left wing in camp near Alexandria, Louisiana, and the right wing on the opposite bank of the Red River helping to build Bailey's Dam, on May 5, 1864.